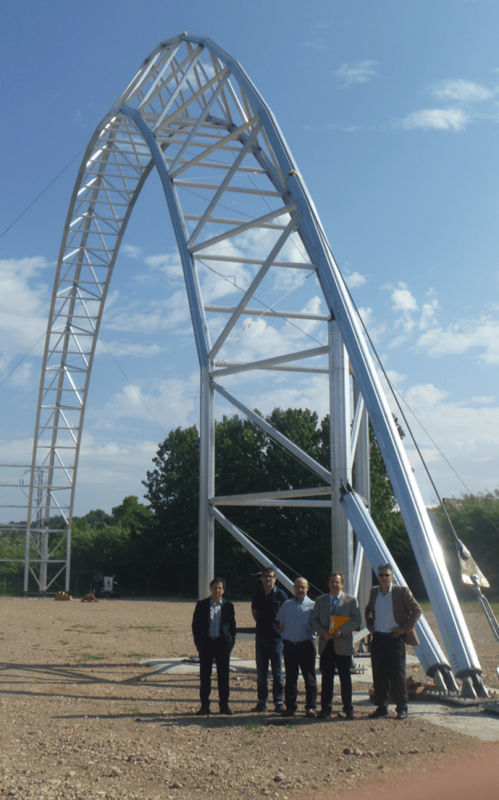 Gaptek is a company located in Banyoles -Porqueres, specializing in the design and structural calculations. 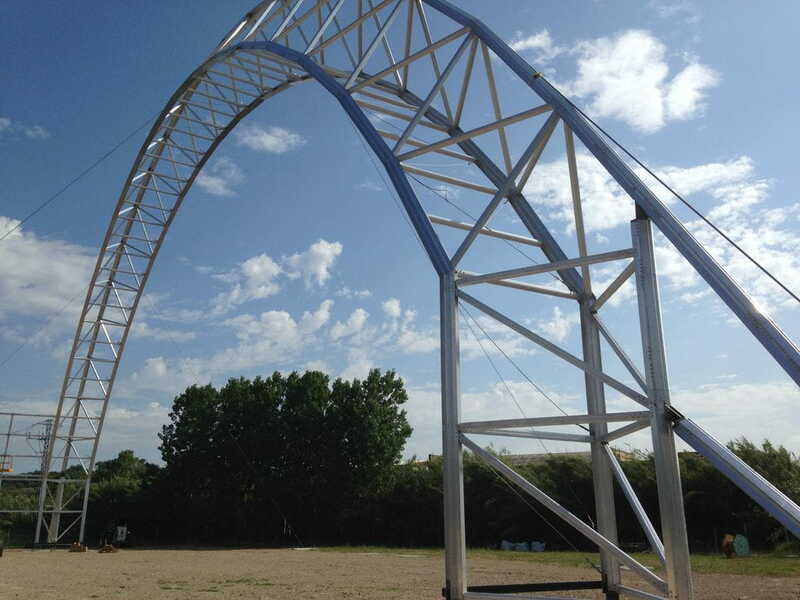 These structures are aluminum and its main feature is that they are modular, removable and portable, this makes it a very suitable for military camps, mining, pipeline construction, etc. 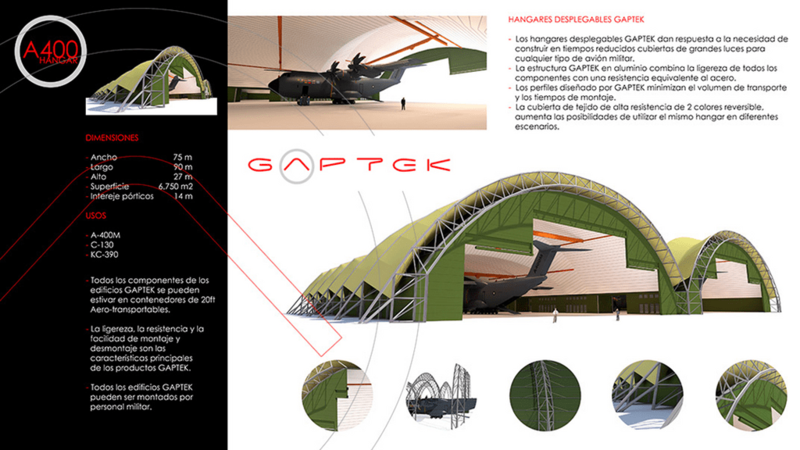 ..
Gaptek is currently constructing what will be the world's largest hangar removable for placement of two transport aircraft of the Airbus company. The location of the two hangars is located in La Maestranza in Seville, each occupying an area of ​​6,750 m2 and a height of 27 meters of column-free. 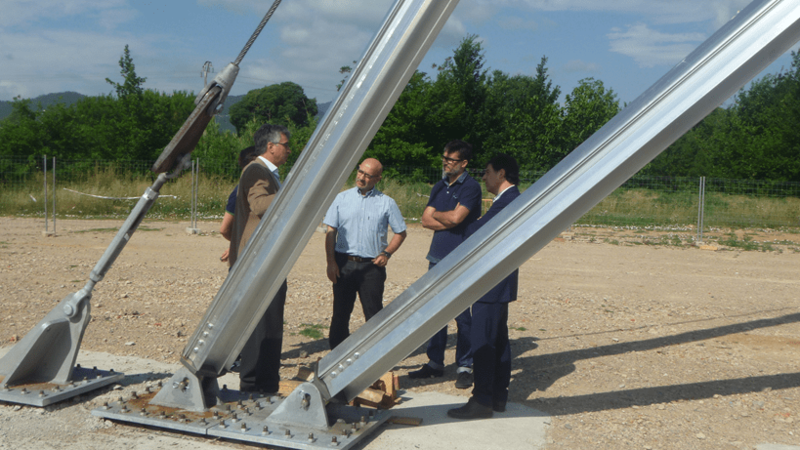 Gaptek entrusted machining of profiles Tecalum, today in Porqueres ( behind Can Constans) you can see a mounted arch for testing and design loads.